Kath Darlington, CEO - The Scott Partnership Ltd, highlights some of the key findings from the IBO 2019 Industry Forecast. 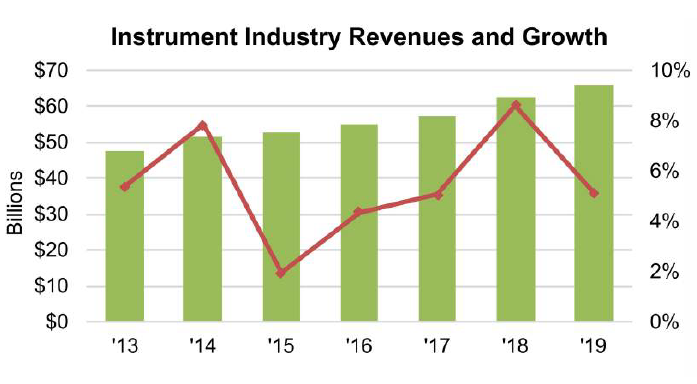 This annual review and forecast issue examines 2019 growth prospects for analytical instruments. The Scott Partnership work closely with clients in many of the segments outlined in the report to better communicate with their complex audiences to grow awareness, change perceptions, generate demand and ultimately, grow market share. Their business is able to support you globally with services into China, Europe and North America.